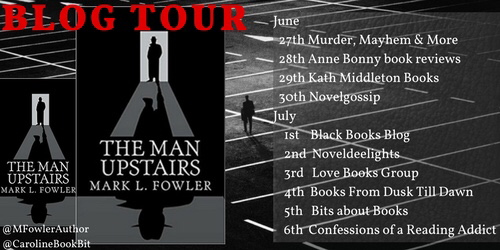 Welcome to my stop on the blog tour for The Man Upstairs, I have a Q & A with the author to share today. 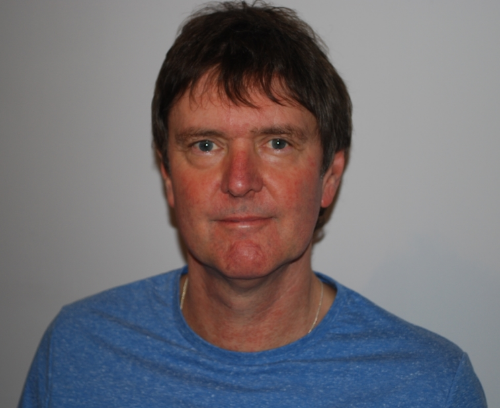 Hi, I’m Mark L. Fowler, author of three published novels. Coffin Maker was published in 2014. 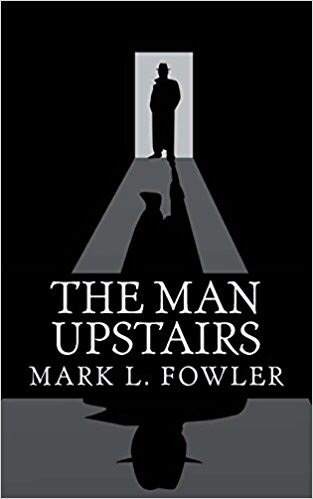 The Man Upstairs followed in 2015, and Silver was published by Bloodhound Books in 2016. My latest book, Red Is The Colour, is due to be published, again by Bloodhound Books, in July 2017. WHAT OR WHO WAS YOUR FIRST INSPIRATION TO PICK UP A PEN AND WRITE? WHERE DO YOU FIND YOUR CURRENT INSPIRATION? I’m not sure I can trace that initial inspiration to any one author. As a child, I used to love reading Enid Blyton, and the Pan Horror series. Then I discovered the likes of Edgar Allen Poe, Raymond Chandler, Ray Bradbury, Shirley Jackson, Lawrence Block, Minnette Walters, Arthur Conan Doyle, Ambrose Bierce and so many others. I tend to draw inspiration from all over the place, from fiction and non-fiction, TV, film and real life. Once the antennae is tuned in, I find, there is inspiration to be found everywhere. WHAT MADE YOU CHOOSE YOUR PARTICULAR WRITING GENRE. HAVE YOU WRITTEN OR THOUGHT ABOUT WRITING IN ANY OTHER? I began writing short stories, and I was able to experiment with a number of my favourite genres, sometimes mixing them to create particular effects. I had a restless drive to explore what lay out on the borderlands. I write in a few genres, ones that I enjoy reading in. As I love reading crime and mystery novels, psychological thrillers, gothic fantasy/horror I tend to write mainly in those genres. Red Is The Colour is my first out and out crime novel, while Coffin Maker was gothic horror/fantasy. With The Man Upstairs and Silver I mixed genres. The Man Upstairs was an opportunity to use a hardboiled detective in a fantastic context, and it was so much fun to write. The cynical wit of the world-weary pulp-fiction hero seemed perfect for an existential crisis. HOW DO YOU LIKE TO CONDUCT YOUR WRITING? IS THERE A SET ROUTINE YOU FOLLOW? If I possibly can I like to write most days, and I generally feel happiest when I have a project on the go. I enjoy that sense of momentum, and having something to get my teeth into. There’s nothing worse than a blank page. Having said that, a blank page can also be a challenge. I often start a new project with a What If? scenario that grabs me and gets the juices flowing. HOW DO YOU CHOOSE YOUR COVERS? WHERE DO YOU START AND HOW DO YOU COME TO THE FINAL DECISION? DO YOU HAVE A FINAL SAY? With Silver and Red Is The Colour, Bloodhound Books designed the covers, though they consulted with me in the process. I chose the covers for Coffin Maker and The Man Upstairs, and spent quite a long time searching for just the right images. I was particularly pleased with the cover of The Man Upstairs. ARE YOUR CHARACTERS, GOOD OR BAD, BASED ON ANYONE YOU KNOW? There are a few instances where I have been inspired by someone I know, but I am always very careful to create my own characters and not lift them wholesale from real life. Occasionally there may be a character inspired by more than one person, and I may take a bit from here, a bit from there. Frank Miller, the hero of The Man Upstairs, was based on the hardboiled detective heroes of American Noir. You are unlikely to come across anyone quite like him, but at the same time you are bound to recognize him too. IS THERE ONE PIECE OF WRITING YOU ARE MOST PROUD OF AND WHY? I’m proud of all of my books. They’ve all involved a lot of hard work, but also a great deal of fun and satisfaction. Doing what I love best and telling stories. Because Coffin Maker was my first book, it will always hold a special place in my heart. A lot of people like that book and it is impossible to pigeonhole. But The Man Upstairs is special in a different way. Sometimes I feel like I could spend the rest of my life writing about Frank Miller. AND FOR A BIT OF FUN…..
WHAT IS YOUR FAVOURITE BOOK FROM CHILDHOOD? WHAT IS YOUR FAVOURITE BOOK AT THE MOMENT? I recently rediscovered Enid Blyton’s The Mystery That Never Was. I loved that book as a child. Possibly my favourite book at the moment is Pop 1280 by Jim Thompson. IF YOU COULD HAVE ANY 4 AUTHORS (ALIVE OR DEAD) AT A DINNER PARTY WHO WOULD IT BE AND WHY? Ray Bradbury, Stephen King, Shirley Jackson and Thomas Harris. They all have such fantastic imaginations and they all know how to tell a story. I think it could be a very long dinner party, and I hope that during the evening we could all gather around a roaring fire to hear some ghost stories. Favourite colour- Red is the Colour at the moment. Favourite food- A good roast or a stir fry. Favourite song – Kentucky Avenue, Tom Waits. Real ale or wine? Wine. Kindle or paperback?- I prefer a book for non-fiction, particularly reference books, but for novels I really don’t mind. Tea or coffee? Tea in, coffee out. Coke or pepsi?- Don’t care. Tapes/C.D’s/Vinyl?- CDs – I never play my vinyl these days, sadly. I keep meaning to though. Marmite-Love it or hate it? Hate it. Huge thanks to the author for joining me today! The author contributed a short story, Out of Retirement, to the best-selling crime and horror collection, Dark Minds. Featuring many well-known writers, all proceeds from the sales of Dark Minds go to charity.